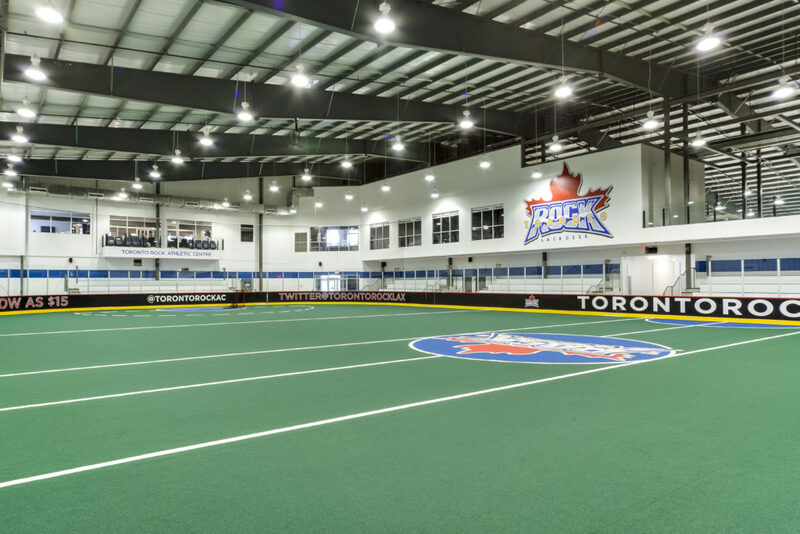 The Toronto Rock is one of the top lacrosse teams in North America. 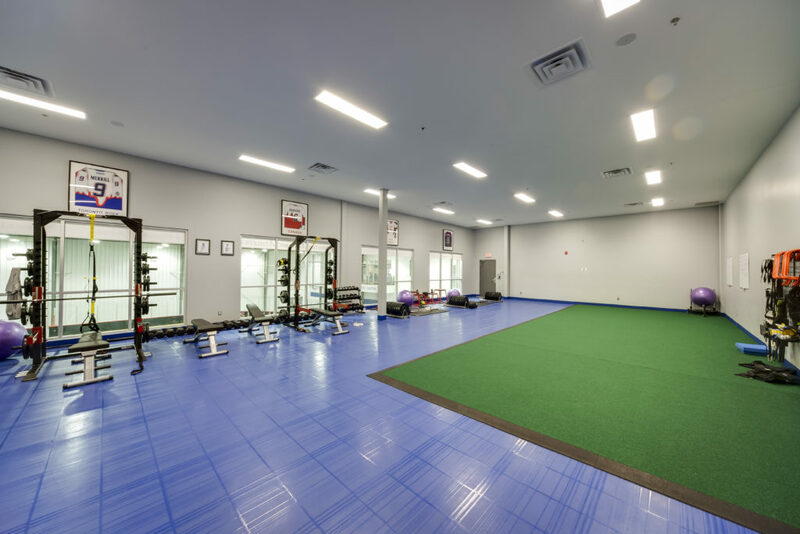 Turner Fleischer Architects, working with the team and their stakeholders, brought a top tear recreational facility and athletic center to life for their practice and use. The Toronto Rock, currently plays at the Air Canada Centre in downtown Toronto, but the team had practices in various locations across the GTA. 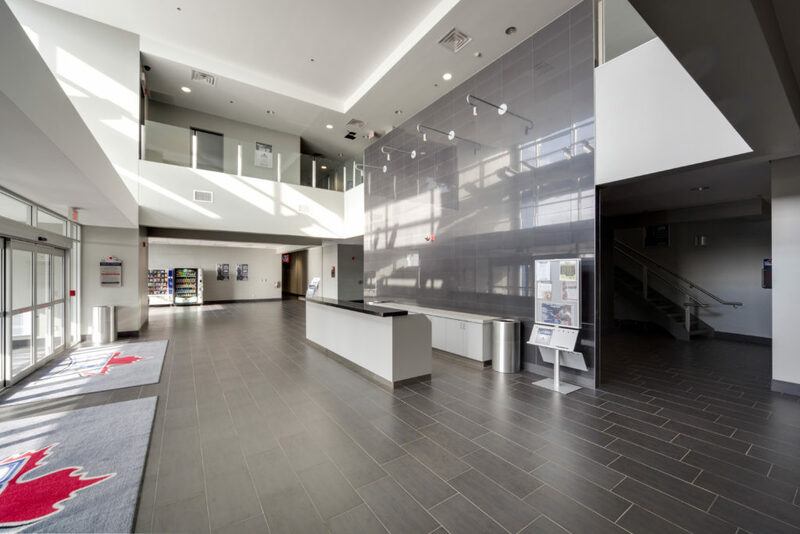 This new athletic centre provides The Rock with a necessary training facility and home base. 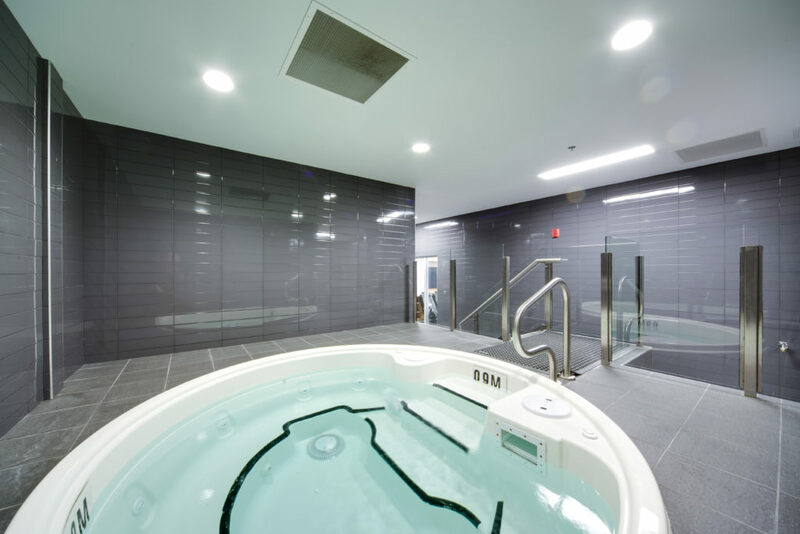 The structure houses two full-size arenas with change rooms, a private Toronto Rock locker room with a gym between them. 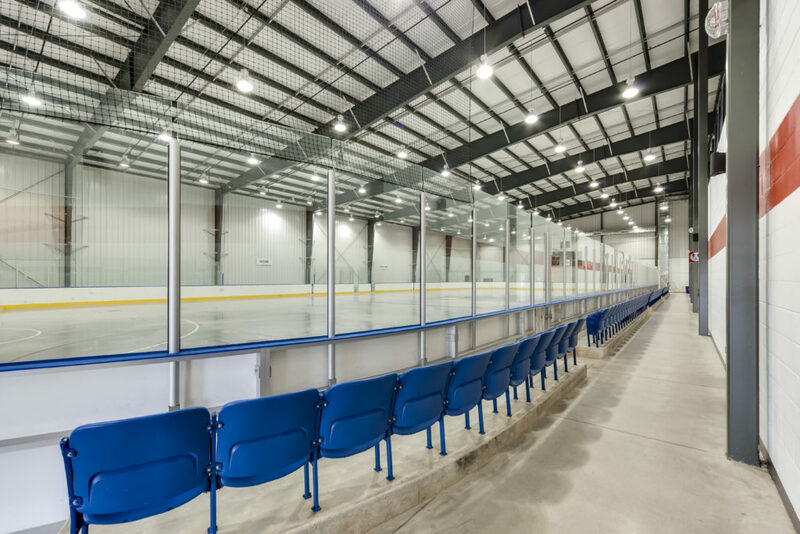 The two arenas have been constructed with wide-span steel prefabrication, allowing for unobstructed areas. Administration offices are located at the front of the building, along with other necessary services. 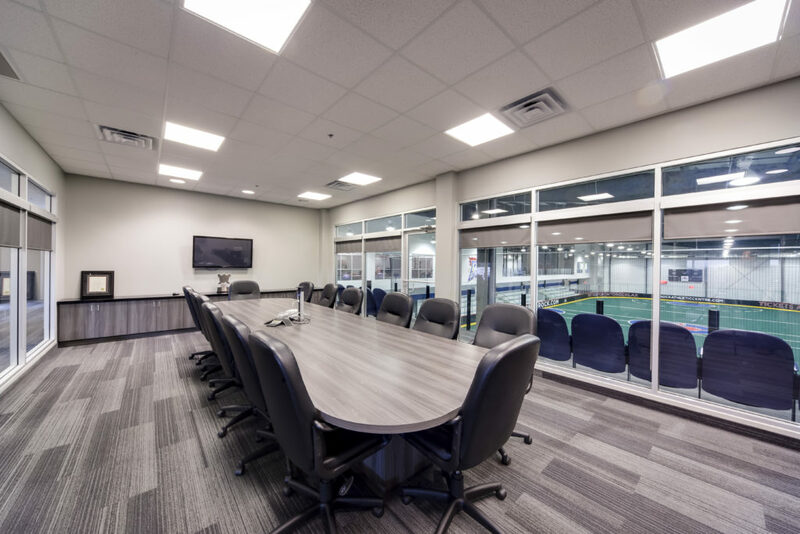 A unique portal creates the arrival point to the facility, and the completed project gives the team place to call their own as they practice for the next big game.